Smartphones, sanctions and death sentences: what’s going on with Huawei? Faculty member Eric Harwit of University of Hawaii at Manoa‘s Asian Studies department weighs in on Huawei Technologies with BBC News! The tech giant has had a meteoric rise over the last ten years. It has overtaken Apple in the global smartphone market, and its equipment is in telecommunications systems in 170 countries worldwide. But Huawei now finds itself at the centre of a global scandal. Its chief financial officer – the daughter of the company’s founder – is under house arrest in Canada, accused of selling telecom equipment to Iran in contravention of US sanctions. A week later, a US court charged the whole company with bank fraud, obstruction of justice and theft of technology from rival T-Mobile. The company has been banned in New Zealand and Australia, and there are moves in the US to stop government employees from buying their products. Critics say if it wins the contracts for the new 5G network being created globally, it could give the Chinese government control over everything from smart phones, to cars, to pacemakers in other countries. So why has the success story soured? This week, we ask: what’s so scary about Huawei? His segment is in the last 6 minutes of the 23-minute program. Check it out! 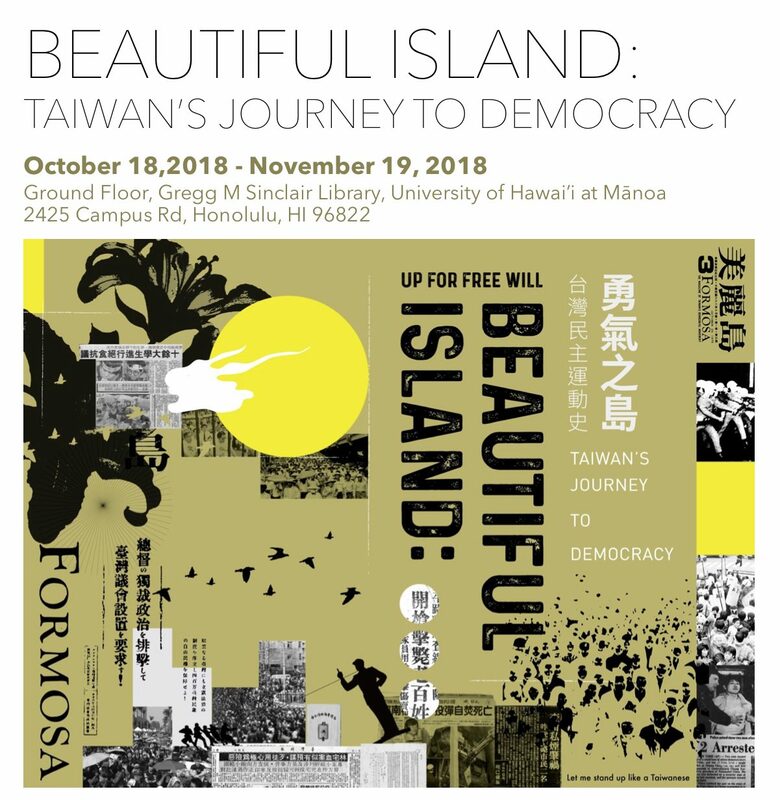 The Taiwanese Student Association at the University of Hawaiʻi at Manoa and the East-West Center cordially invite you to an Aloha Ceremony and Reception to celebrate the opening of the exhibition “Beautiful Island: Taiwan’s Journey to Democracy”. 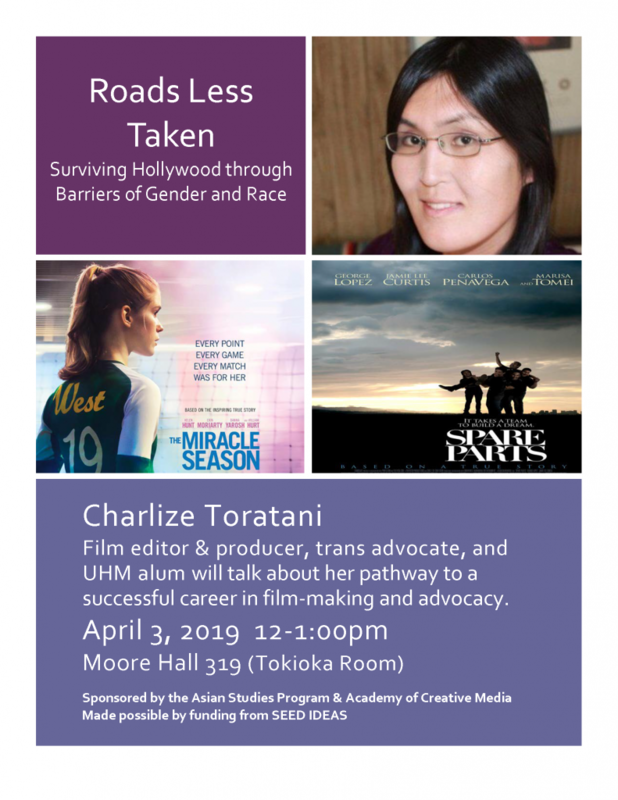 We recommend you to visit the exhibition before you come to the reception in Sinclair Library (2425 Campus Rd, Honolulu, HI 96822). We are glad to have the Dr. Richard R. Vuylsteke, President of East-West Center, Chang Tieh-Chih, the curator of the exhibition and a Taiwanese political & cultural commentator, and Shawna Yang Ryan, the author of the novel Green Island, make some remarks about Taiwan’s democracy. The opening of the exhibition will take place tonight, Thursday, October 18 at East-West Center in the Lunchroom on the first floor, from 6pm to 7pm. The exhibit will remain open through November 19, 2018. Taiwan has had an eventful history: as a Dutch entrepot, a Chinese frontier, a Japanese colony, and as a Cold War redoubt for the Chinese Nationalist Party. Today, Taiwan in a prosperous democracy with a thriving civil society. How did it come about? This exhibit tells this epic story to the world, hoping that people will not only have a better understanding about this wonderful island, but will also perceive Taiwan as in the frontline int he pursuit of democracy in the current world. 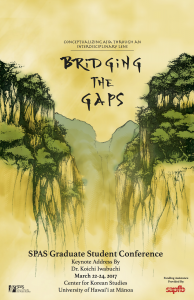 The exhibition initiated by the Taiwan Studies Program at University of Washington. 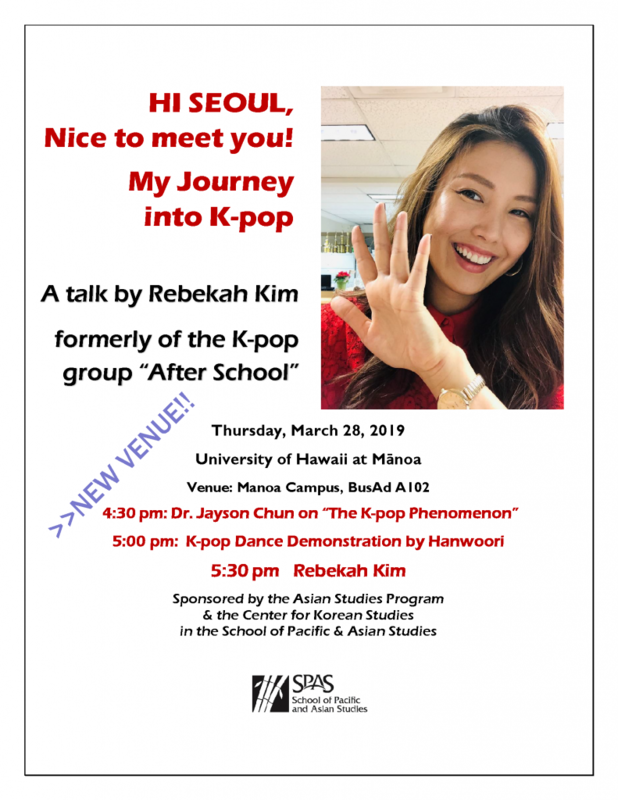 University of Hawaiʻi is the second stop of its U.S. tour. Taiwan’s population consists of Hoklo Han Taiwanese, Hakka Han Taiwanese, Mainland Taiwanese and Indigenous Peoples. As two sites int he Pacific that share similar yet distinct experiences of U.S. Cold War politics, viewers of this exhibition may further reflect on what it means to think about movements in Taiwan here in Hawaiʻi. Global Vision Summit on Climate Change hosted at UH West Oahu. 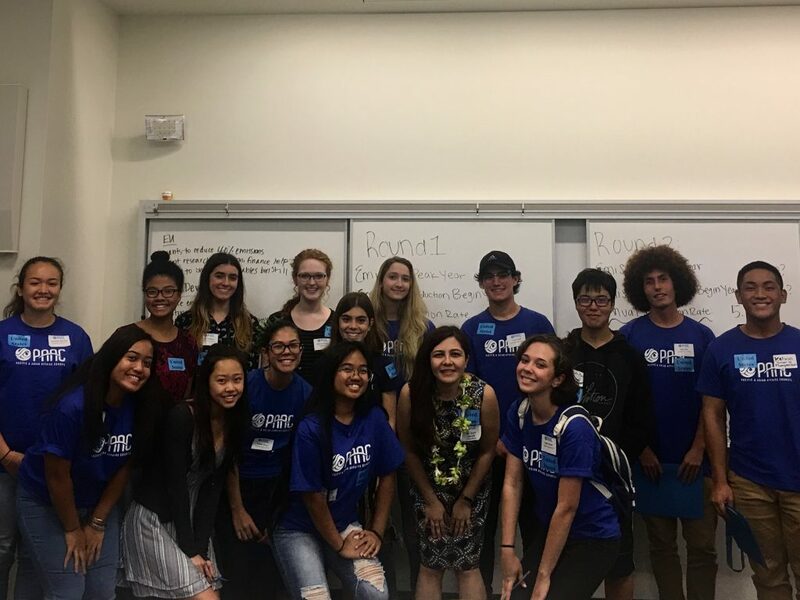 Dr. Kristi Govella, Assistant Professor in the Asian Studies Program at UH Manoa, participated as the Community Expert for the US negotiating team. below 2 degrees Celcius. Other experts advising the nine student teams were drawn from the United Nations Development Programme, the National Oceanic and Atmospheric Administration, the East-West Center, the Hawaii Institute for Human Rights, the Daniel K. Inouye Asia-Pacific Center for Security Studies, Tsuchiyama & Associates, and the Australian Consulate-General in Honolulu. Visit the ASP table on October 27! 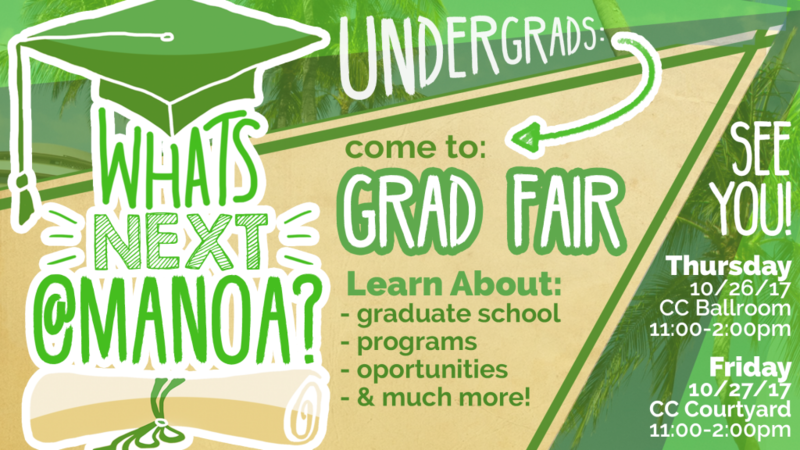 The Asian Studies Program (ASP) will be part of the “What’s Next at Manoa?” graduate fair, hosted by the Associated Students of the University of Hawaii (ASUH). The goal of the event is to introduce undergraduate students to graduate program opportunities at the university. ASP will be tabling on Friday, October 27 from 11:00AM – 2:00PM in the Campus Center Courtyard. Dr. Young-a Park, Graduate Chair of ASP, and other members of the department will be present to meet students and to share information about courses, scholarships, and more! Attend the School of Pacific and Asian Studies 28th annual graduate student conference, March 22-24, at the Center for Korean Studies. 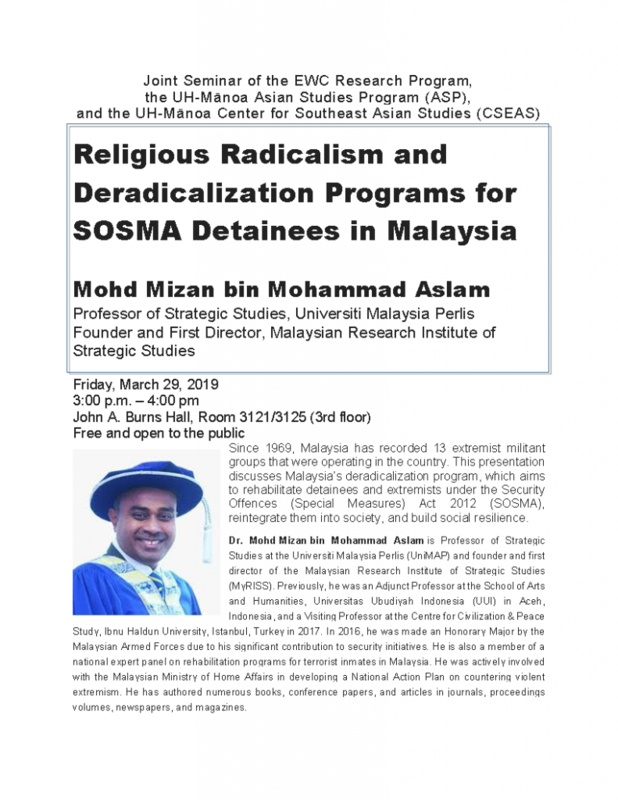 The conference will include performances, posters, presentations, and panels that “critically address and/or contest disciplinary and regional approaches to the studies of Asia”. Presentations will highlight: 1) Original research in any area of Asia and Asian Studies; 2) Interdisciplinary methods and frameworks; 3) Comparative studies or transnational issues; 4) New and emerging trends in Asian Studies; 5) Critical re-examinations of existing methodologies and frameworks; and 6) Current Asian performance practices.